The language of the manuscript must be in English (either American or British standard, but not the mixture of both). The length of the paper should not exceed 25 pages (Times New Roman, 12 Font) excluding tables, figures, references and appendices (if any). Paper containing more than 25 pages words will be returned to the author(s) to abridge. Articles should be typed in double-space (including footnotes and references) on one side of the paper only (preferably A4) with wide margins. 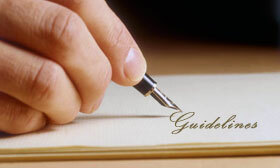 Authors are urged to write as concisely as possible, but not at the expense of clarity. Since ARIPD follows central submission policy for all journals (same e-mail for submission in any journal), the corresponding author is requested to mention the name of the journal in which he/she is interested to publish his/her paper. Present tables and figures within the article, not at the end of the article. Please note that the article will be published in black and white (print), although online version will contain the colorful figures (if any). However, the color print will be available in extreme cases as per the request of the author. In that case, the author has to pay additional 20 USD with the original publication fee. The submission file is in Microsoft Word file/ PDF format. Manuscript has been made in the light of Journal’s author guidelines. Author (s) has mentioned the name of the journal (in which the author is interested to publish) in title page. Author(s) has read all the terms and conditions of the journal. STOP! Don’t submit your paper if you are not confident about the quality of your research paper. ARIPD follows double blind peer review policy strictly.